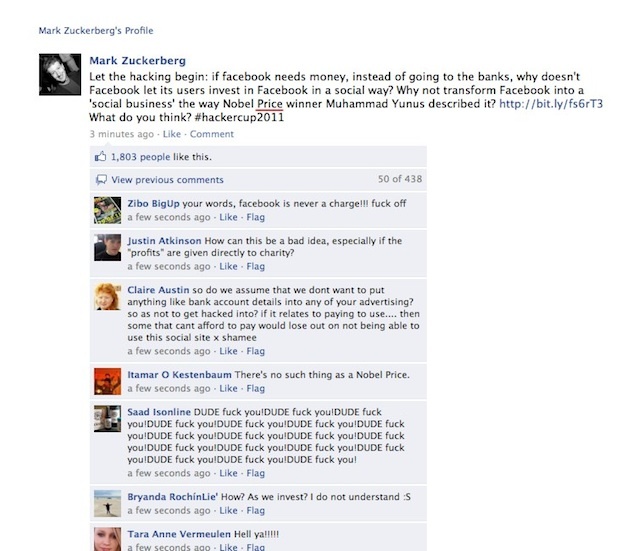 You are here: Home / Tech News / Mark Zuckerberg Fan Page Hacked: What Really Happened? There was a lot of speculation after Mark Zuckerberg’s official Facebook fan page was hacked and updated with an unauthorised post. At first glance it appeared to be an embarrassing security flaw by Zuckerberg or one of his staff authorised to update the page. Understandably there was speculation that Zuckerberg or one of his colleagues might have had their passwords guessed or stolen, or perhaps had been ‘sidejacked’ by a tool such asFireSheep while using an unencrypted free WiFi hotspot. But now the Facebook Team has revealed what actually happened. Facebook discovered that an API bug allowed unauthorised parties to post status updates to public Facebook fan pages. So the case wasnt that Facebook Creator Mark was hacked or sniffed while he was logging into fanpage. Also the case is not that all the Facebook User’s Personal Infos. were leaked on the Internet. Facebook has not revealed whether they believed that French President Nicolas Sarkozy’s fan page ,which was also breached earlier this week had been affected by the same bug, but the suspicion must be there. So Will My Fanpage Be At Risk? As always stay away from facebook spams. Dont click Links like “omg!! look what this blah blah blah” etc. Hey thanks for the information.I only know that Mark Zuckerberg’s official Facebook fan page was hacked but didn’t know the whole story. Many people still think that the whole Facebook is at the verge of Security Risks! If there really was a hole in the API, it looks like this/these hacker/s are good guy/s since they didn’t post a link to phish info, but allowed FB to know about the hole and fix it before anyone else could exploit it. Well played.